I saw 2 people unconscious on the street and I walked away. That's right. I did that. On hindsight, I was shocked at my reaction, but I actually did that. During the past 2 weeks, I toured the UK with my parents as part of my graduation trip. We have received quite a few racists abuses, subtle or explicit. My parents may not have noticed some of them (or they chose not to care about them) but I definitely had. I have been in this country for 6 years and rotated through the hospitals and surgeries of many towns/villages of East Anglia. I may not know this country as well as my friends who were born and bred here but I know enough to recognise when someone is just being curious and when someone is being rude/racist. As much as I tried to tolerate, to ignore and to forgive them, I could not help but felt the pinch. 'NI HAO!' the most common form which I have grown used to it. 'YOU WANNA TO TAKE A PICCHA OF ME?!' a white guy shouted across a busy main road, flexing his muscle, lifting up his shirt, when we were just walking along the streets of Manchester, minding our own business, not even taking a photo of anything in particular. He laughed hysterically and proceeded to walk off with his mates. 'Anyone from China?' Our tour guide/bus driver in Edinburgh said at the beginning of the tour, looked directly at us and looked disappointed when no one responded. Some just assumed we can't speak English and proceeded to play charades with us. Oh wells. B - RR seemed normal to me. Not tachypnoeic. Not struggling to breathe. C - He's not overtly bleeding. Impression - probably just drunk. So we walked a few steps away. Some guy approached him as we continued to watch. He tried to wake the guy up and pulled him to sit. The guy responded with a few grunts, a smile but with his eyes closed. He sat up for a few seconds, leaning against the wall, before he flopped back onto the floor. Another 2 guys approached. Thousands of thoughts rushed through my mind as I stood there: Should I help? Practically, what can I do? Yes, I graduated, but I am not registered with the GMC or any medical council in the world so technically, I am not allowed to practise. And if I do help, it would be a Good Samaritan act. (A good Samaritan act is where medical assistance is given in a bona fide medical emergency, which a healthcare professional may happen upon in a personal rather than professional situation. While there is no legal duty to assist (in UK law), clinicians have an ethical and a professional duty to help.) And not like I am super experienced, what if I make the situation worse? One of them called the ambulance. I concluded that I could do nothing else to help in this case and proper help was already on the way. So we continued on our day. I'm not sure if I did the right thing. Yesterday, my parents and I were walking along Savoy Street in London after our dinner. We saw a guy fitting on the floor. Fitting, vomiting and incontinent - this guy was clearly having a full-on seizure, which I have not seen one in real life before. There were many people crowding around him; One held him in recovery position so he would not aspirate his own vomit, another called the ambulance. We stopped too. B - Not good. In fact, he is turning cyanotic. Impression - Seizure. He is going to collapse if he doesn't get any anti-epileptic or oxygen soon. I continued to look on and almost wanted to ask if I can help. Maybe he is a known epileptic, maybe he has some emergency anti-convulsants with him. But somehow, I could not bring myself to open my mouth and help because my own thoughts and experience for the past 2 weeks stopped me. In their eyes, I am just a Chinese tourist, who am I to help? Maybe I can't even speak English. Then the ambulance arrived. So we continued our day. I felt cruel and heartless after those incidents. They kept replaying in my mind. I asked my mom if I did the right thing. I asked my boyfriend (another fresh Dr) if I did the right thing. The truth is, I have let prejudices against my family and I get into my head, and I am disappointed with myself. I wished someone could tell me what I did was right. Clinically, I am confident that it will not affect my judgement because it has happened to me countless times during the past 3 years (and during my final exam too) and I managed to put all of them aside and treated my patients with fairness and respect. In a non-clinical context, I just wish I could do better the next time this happens. Medscape/WebMD did a survey on this topic last year. The found that although in 59% of the cases, patients' prejudices on their doctors had no impact on their clinical care. In 61% of the cases, it had moderate to strong emotional impact on the physicians. To learn more about it, read here. In a month's time, I would have completed my apprenticeship block - the last placement of my entire medical school life. It's surreal. From struggling as a foolish, ignorant first year, to a 4th year who flustered at every single stressful situation, to now, an almost-qualified doctor who still don't know much but at least when sh*t hits the fan, it doesn't show on my face as much. It has been a long arduous journey but by God's grace and strength, I persevered through it all. 'Where will you be working?' That's almost guaranteed the first question from anyone we meet in the hospital. 'Unfortunately, I will be leaving the country...' I answered every time, unsure if I should be showing sadness for leaving or to show my excitement for going to an environment which I've experienced and loved; But, just to be safe, I'll say, unfortunately. It's strange seeing everyone doing admin work for their upcoming job and rota, for we were just struggling with our exams like any students do just 2 weeks ago. It's strange to leave this massive institution of NHS as well. The spirit of putting others above oneself is definitely something I've seen many times in this institution regardless of my location of placement. It's beautiful, this selflessness. The NHS was not in the current state it was in when I first started medical school 6 years ago. It's just a bit odd and sad to see it in the state it is in today. Apart from the news in the media and the shortage of staffs, the most obvious change I've observed over the past 3 years is the decline in morale of the junior doctors. It started with the junior doctors' strike more than 2 years ago, which I helped to cover some of their jobs on the ward. The spirit of unity and solidarity was at an all-time high then, but things started to go downhill after that. I've always been very pessimistic about where the NHS will head from here, but with the recent political revolution in Malaysia (something that I was pessimistic about and couldn't quite believe has happened as well), I am more hopeful that the healthcare in England will be better...one day...just you see. I'm not sure how quickly I will adapt to the new environment, but I am holding onto the hope that it will be the environment I will flourish in. With a recent racist incident that happened during one of my final OSCE stations, I hold onto that hope even tighter. It was a neurology station. The moment I walked in, even before I introduced myself, the old white male patient went 'Ni hao...' Of course, I was utterly gobsmacked for a while. I have had COUNTLESS of such encounters during my short clinical career life in the NHS thus far, so one can say I'm well accustomed to dealing with racist behaviours, but I have never expected to have to deal with THIS during my final exam. I mean, if this is part of passing the exam as a foreign medical student, then fair enough. But I was not told about this and I was marked on the same criteria as other students! Under a huge time-pressure and the desire to pass the examination, I just pretended nothing happened and continued my examination as usual. I wasn't sure how the examiner reacted to that as I didn't even have time to look at him. I have to finish my examination. Just a few days ago, I learned that I passed all my exams. 'That's all that matters,' I told myself, 'Don't kick up too much fuss, don't prolong your stay, just graduate and out of the country you go!' I'm not sure if this is the right thing to do. I've talked to several colleagues about it, and of course, they were all shocked. However, as of my current state, I'm very content with where I am and I think I will keep the situation to just at that. The only thing I am worried is, I am not sure who is the next 'foreign' medical student who will face the same situation as I did and how will he/she react. But whatever happens, just know that it's not your fault, be strong and pass your exams. That's all that matters, for that moment. Ah, the first day of the year. There is always so much hope on this day, as people in the park in front of my house worked on their new year resolutions. As for me? I have not even reflected properly on my past year, what more to make resolutions. This is mainly because the past 3-4 months had been a complete rush - preparation for my first job interview, preparation for my written FINAL finals, planning for my Eastern Europe inter-railing trip and finally, executing them. Thank God, it was all done and I finally have some time to sit down and reflect before the next term starts again - bright and early tomorrow, with a GP placement. Funny how we are always asked to write reflection essays in the clinical school and hate it so much, but I actually enjoy reflecting on my past year. I guess it's because it's a reflection of genuine thoughts and experience, rather than an attempt to hit the word count. Improved my Spanish to a level that if someone is scolding me in Spanish, I would understand. Made friends with a Spanish family and stayed with them in a little town in the North of Spain. Had the most amazing tapas in the true blue Spanish way, leg of ham and glasses of Rioja, experienced how a family's life can be very simple yet content and happy, and learned the true meaning of generosity. 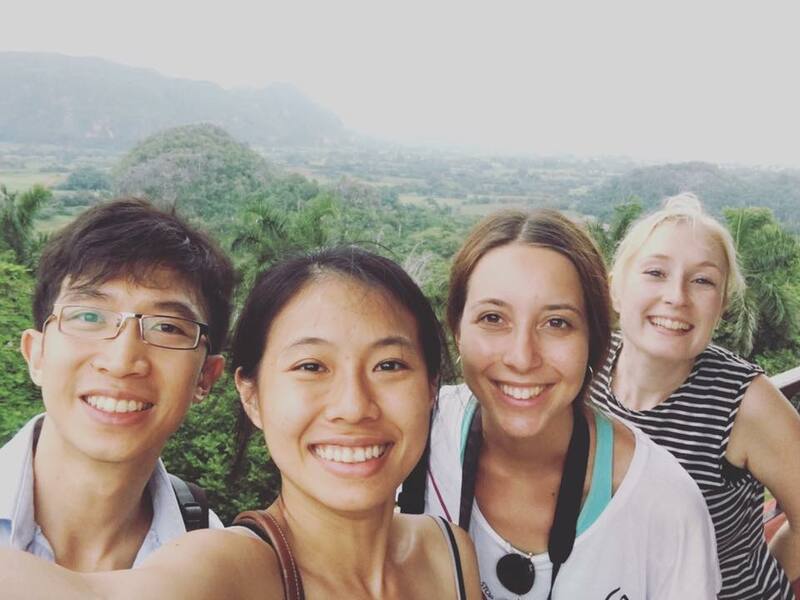 Lived in Cuba and Peru for 2 months as part of my elective - Made friends with the local, a few Spanish and another student from Greece. Also, finally experienced the Carribean sea to its fullest. Did my first proper hike ever - At 3000-4000m above sea level for 5 days and reached Machu Picchu. Presented at an international conference in Amsterdam and experienced how glamorous conferences can be. Presented at a national conference in Harrogate and learned how a sub-dean can tell really funny stories during the curry night. Moved into a brand new flat and still loving it! Job interview - scary but fun! Finals - scary and not fun! Travelled to Salzburg, Hallstatt, Vienna, Budapest, and Krakow. Experienced the most beautiful winter ever. Went home for Easter holiday and went to Mulu with my parents. It was a trip that completely changed my perception of how this precious place near my hometown is. I would love to go back again. I started the year without much expectation but God worked in His wonderful ways and in His perfect time and brought me to places I never thought I would set foot on. So, I would say 2017 was a pretty good year for me. Of course, there were unhappy instances which taught me more about the human beings and how one can be really mean to people who are different from himself, but it also taught me to forgive, to empathise and to try to change that perception if I ever encounter them again. However, when I looked within myself, I realised I am not that different from them. I, too, have lots of prejudices against people who are different from me. I, no, we all need to learn to see beyond our differences and focus more on our similarities because we, human beings, really are not that different. Afterall, many of the sad things that happened around the world in 2017 were because of these prejudices. I think we can do better in 2018. 'Is that all you've got?' the old man with multi-pack tissue rolls in front of me asked as we were queuing at Farmfoods. 'Yes, but don't worry bout me.' I said hurriedly as I gestured him to go ahead, with a 2L bottle milk in my hand. So I went ahead and paid £1 for the 2L milk. What a bargain, I thought. As we both left Farmfoods, he shouted 'Don't be late for tea!' I don't quite know how to respond to that as I was really going to make tea when I reach home, so I just laughed at his comment. Then we both went on our way. That was a short exchange between an old Bedfordshire man and I while we were shopping at one of the cheapest frozen food stores in town. Not that I am a fan of frozen meat, but the things on sale there are cheap, and since it's the direct opposite of where I stay, it's the place I frequent almost daily when I am on my hospital placement here. The short exchange we had in this store was heartwarming to me. It may mean nothing to a regular member of the extremely polite British society, but it meant a lot to me. It made me doubt, should I even leave this country? Just a few days ago, it dawned on me that this is actually the final year I will be in this country. 5 years ago, I arrived in this country for the first time. I knew almost no one apart from the freshers who were travelling with me, and I could not understand what the immigration office was asking me to do. 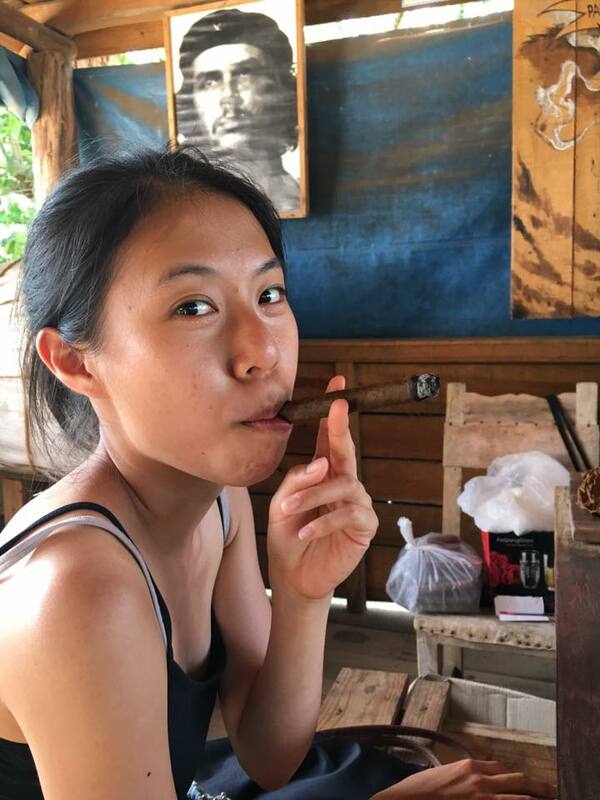 I thought I spoke reasonably well English (at least for the Malaysian standard) but this British accent was something else - it was like a completely new language to me! During my undergraduate years, I interacted mostly with Malaysians or Singaporeans only, and I shy away from all the local students. Partly because the MAS/SGeans were the cure when I felt homesick, but partly because I could not understand why do the English students love to 'go out' so much! ('go out' meaning go partying, go to the club, dance etc.). I was not a fan of alcohol, and I have been brought up with the idea that 'one who drinks alcohol' is probably 'one who is morally wrong in every other aspect of life', what more on going to the club and dance!? It was hard to mix in with the local students when you always miss out their social events. So during my first three years, the English people I actually interacted most with are my supervisors. Most people graduated after 3 years, including the group of friends whom I regularly hung out with. The only people left are medics and a few engineers, who hid in their labs most of the time. Year 4 is the first clinical year in Cambridge. As a clinical student, you're like a nomad - you move from one hospital to another, almost every month. I was barely in Cambridge at all. And in placements, the only 'friends' you have, are other medical students, and probably a few FY1s. It was also daunting for me initially as this is the first time I have to go into the hospitals and talk to patients from various backgrounds in the English cities/towns/villages, young and old, white and non-whites, and most of them, not in the perfect mood 'to have a little nice chat' with you because they are sick, that's why they are there in the first place. However, thank God for my very helpful supervisors, doctors and colleagues, I actually had not much problem doing things a medical student is supposed to do in the hospital/GP surgery. Fast forward to now, I am actually quite comfortable talking to patients, to my seniors and to my peers in clinical school. Although I do get the occasional well-intentioned, curious 'Where are you from, dear?' 'Are you from China/Vietnam/Japan/Korea? ', and the occasional purely racist comments (esp when I don't have my stethoscope or my student doctor badge on me), I have been getting along well with most people. I don't blame the regular white guy/girl who hurled racist comments at me on the street because, in some of these villages, I am literally the only 'Asian' face they see. The last time some of these old men saw an Asian face was probably during the Vietnam war they were in during the World War! However, I do get quite anxious when I am having group discussions in non-clinical settings, eg during student conferences and in the church. It is particularly difficult whenever I am the only true, Asia-born Asian in the group, carrying a thick Malaysian accent. Perhaps I am just being overly-sensitive, but there were times when my opinions were ignored conveniently and what I wrote glanced over during a discussion. There were times when I spotted a room for improvement in the discussions, but I just put a foot in my mouth because who cares about my opinion anyway, just let it be, even though the work will not produce the best result it could. And sometimes during breaks/lunch during conferences, I was left with no seats in any group so I had to plant myself in any seat I could find. Sometimes, I approached other people and try my best to strike up a conversation; sometimes, people who took pity on the girl who sat by herself and came to talk to me. However, often, the same person whom I had an interesting conversation with just an hour before, somehow can't recognise me at all when we met again because I am just another Asian face and they couldn't tell the difference between our Oriental faces. I am not saying this sort of situation happens on a daily basis, however, it does not happen too infrequently as well. It makes my heart aches whenever it happens. At first, I thought it's probably my lack of communication and persuasion skills to charm strangers that resulted in people not taking my opinions seriously. However, I've experienced these things when my aSEAn friends were with me as well, and they agreed, it was clearly...racism, subtle or not. Racism is a common thing around the world, regardless of which country you visit. I grew up in Malaysia, where there are many races, ethnicity and religions. Racism is just part and parcel of our daily life there. We either take it as a joke, or it's just institutionalised racism forced upon us, what can we do?Live your hard, work hard and be the person who changes this fact, top-to-bottom (if you're one of the leaders of the country) or bottom-to-top (if you're like me, a normal person on the street). We all make racist jokes against each other and have a good laugh about it. There was not much ill-intentioned racism going on on a daily basis, or at least I know that I can confidently fight back if anyone tries to do that to me because Malaysian Chinese is a 'minor race' in Malaysia but it's actually not quite 'minor'. And I can fight back because I was born in Malaysia, how dare you ask me to go back to China?! Besides, we live with people of different races and interact with them on a daily basis, there really isn't an excuse for someone to be outright racist to everyone every single day. However, in the UK, I am truly a migrant, a minor race, a historically-viewed-upon-as-inferior group of people. I have enough insecurity within myself as a medical student and my language skills which I need to deal with, I just not guts to fight back when people present with subtle racism against me, especially in a professional setting or in a church setting. And if I decide to fight back against that random racist dude on the street, it is completely possible that I may get beaten up. Therefore, most of the time, I just ignored and get on with life. It was during those moments, I felt like I want to go home, I don't want to tolerate this for the rest of my life because what have I done to deserve this? I came here, studied hard and contributed to the economy (shopping!). What have I done that made me less than a random dude on the street to deserve those racist acts? The carpool with Calum, Sreela etc to and fro placement. Why did they want to go out of their way to drive me home, without expecting anything in return? I don't know, but they are probably the nicest English (and very importantly, Scottish) I've ever met and the ones who made me feel I am not alone in this country. The F1 on my respiratory ward in Bedford, Ahmed, and the SHO, Laura, who I only met a few weeks before, who taught me so many things on how to be a 'doctor', who were more anxious and excited than me for my first ever job interview and couldn't stop asking me how the interview went and when will I know the outcome. And Ahmed, who walked to Tesco to buy Prosecco and a chocolate cake just to celebrate when I got my first a job offer. The generosity of my college, Caius, and Trinity College, for providing me with luxurious student accommodations at unbeatable prices for the entire duration of my time here. The patients who let me poke and prod them about, when they were at their sickest, just so I can be a better doctor, one day, hopefully, treating someone, somewhere on this planet. The pretty changing seasons - the many colours on the trees during autumn, the snow-covered Cambridge in Winter, the flowers and bees filled spring when there is the 'just-right' temperature, and the hot-but-not-so-hot summer which you can just lie on the grass the whole day. I hated the cold at first, but I've grown to love these beautiful seasons and perhaps, I have become more used to living in the cold than the hot and humid weather now. The formals, the college gowns, the Latin grace before meals and the cheap and great wine from neighbouring European countries. (haha! Looks like I've learned to love something else apart from tea.) And you know, the countless things which are weird to do anywhere else in the world, apart from Cambridge. There are many more instances which made me feel like I don't want to leave this country, ever. I will continue to add to this list until the day I depart, the wonderful moments I want to remember forever. And hopefully, I will return to this tea-filled land one day. Regardless, home will always be home - where there's 24/7 good food, where there's barely any grey sky and where I can speak in the languages I'm truly comfortable in and be fully myself, again. This was written as part of my elective report 'What is a Hibiscrub? ', so excuse the cringy formal/reflective language used. The healthcare system of Peru is made up of a public sector and a private sector. The public sector is funded by two main types of health insurance – the Social Health Insurance (EsSalud) and the Comprehensive Health Insurance (SIS). While EsSalud is a mandatory insurance paid by the employers of all formal sector workers, SIS is an insurance funded by the government and international aid, which aimed to provide free or low-cost healthcare to those living in poverty and extreme poverty. Each of these insurances has their own healthcare facilities. While the EsSalud facilities provide more comprehensive and modern medical treatment, the SIS facilities only provide essential medical treatments with an emphasis on maternal and child health. Before I arrived, I did not know how important the hospital I was placed in, Hospital Antonio Lorena, was to the people of Cusco. Cusco is one of the major cities in Peru, situated at 3500m above sea level, in the valley of the Andean mountain ranges. The city is the main commercial centre for the Quechua-speaking indigenous people of Peru; many whom still reside in the surrounding villages. In contrast to the Peruvians who live in the urban areas, who were literate in both Spanish and English and who were the beneficiaries of the EsSalud insurance, there was a high level of illiteracy, poor living conditions and transgenerational poverty amongst the indigenous people. Their rights were often neglected. There was no health insurance for this group and thus, no modern health care until the SIS was introduced in 2002. While there are many EsSalud hospitals in Cusco, Hospital Antonio Lorena is one of the two hospitals dedicated solely to the SIS beneficiaries in Peru. When I arrived at Hospital Antonio Lorena, I was shocked to see the hospital buildings were made up of blocks of shipping containers. This was different from the photo of the hospital I saw online. The gate of the hospital was shut tight, with a big banner saying ‘National Doctors’ Indefinite Strike’. There were many doctors congregated outside the buildings, shouting, raising their placards and drumming. They seemed to be protesting about their low pay. There were another group of people outside the hospital’s gate, shouting, raising their placards and drumming as well, but they seemed to be protesting about an entirely different issue – ‘Save our Hospital!’ was written on one of their placards. Fortunately, I could register myself for my elective. Initially, I planned to do three weeks of Emergency Medicine. Due to the doctors’ strike, I did not have much choice but was placed in Paediatrics for two weeks and Infectious Diseases for one week. Later, I learned that the doctors had not been paid for months and this indefinite strike had happened a few times since last year. I also heard that the original Hospital Antonio Lorena was undergoing a major refurbishment. Therefore, this was just a contingency hospital until the work completes. However, doctors told me, even though it has been three years since the work started, the new hospital was nowhere near done and will probably take at least another three years to complete. I visited the construction site of the hospital, but there were no workers there at all on a Wednesday afternoon. What about the group of people protesting outside the hospital? I learned that they were probably the representatives of the poor. Instead of funding the refurbishment of Hospital Antonio Lorena, the local authority decided to channel the funding to building a new international airport in a nearby village to boost the tourism industry to Machu Picchu. The work on Hospital Antonio Lorena was therefore halted. Unlike EsSalud or other social insurance schemes, SIS’s budget is fixed and does not adjust to the increasing number of beneficiaries. It also does not help that the General Government Expenditure for Health in Peru has remained stagnant at 4-5% GDP for decades. In the past decade, the government worked hard on the issues of inequality in access to health services. However, due to political corruption (a pervasive ‘culture’ from the ministers to the farmers, as the Peruvians put it), the opportunities to boost the personal economic situation took precedence over the welfare of the people. In this adversity, the poorest group suffered the most as they were left with almost no accessible health services. Fuelled by the poor access to health services, poor public health education and high illiteracy rate, the vulnerable rural population bears the brunt of nutritional deficiencies, maternal and perinatal death and communicable disease in Peru. These patients often present to health services, if at all, when the conditions are dire. In Paediatrics, I saw a 5-month-old boy with Kwashiorkor disease and globally-delayed development due to parental neglect; In Infectious Diseases, I saw cases of severe mucocutaneous leishmaniasis and advanced AIDS. In a short period, I saw many extreme pathologies which I thought only exist in textbooks. More appallingly, these diseases hardly exist in the metropolitan of Lima, just few hundred kilometres away. Based the Dahlgren-Whitehead rainbow we learned in our Public Health lectures, I knew that to resolve these heart-wrenching problems we will need to tackle the wider social determinants of health. However, in reality, how much influence do health professionals have over these factors? While I was overwhelmed by the inequality I saw, a few doctors in Hospital Antonio Lorena showed me how they maintained professionalism and improved the lives of those who needed them most. For example, several paediatricians chose to stay in the ward and care for their patients instead of joining the indefinite strike with their colleagues, because they knew that no one would be saving those children if they choose to walk out indefinitely. Besides, even with the constraints of funding, they tried to deliver an evidence-based practice. When first-line investigations and treatments were not available in Hospital Antonio Lorena, the doctors were resourceful in seeking evidence-based alternatives for the patients to achieve comparable outcomes. Even with the little they had, they were relentlessly helping those neglected by their society. Therefore, at times when I am fixated with the disputes we have in the NHS, these Peruvian doctors’ attitude towards their patients reminded me to look beyond these dissatisfactions and to be a doctor who truly cares for the people. Unfortunately for the Peruvians, there were times when the second-line treatments and investigations were not available in Hospital Antonio Lorena. During these times, the patients could buy those services and items from third-party laboratories and pharmacies in town. This creates a strange picture which there were many pharmacies and laboratories situated right outside the hospital’s gate, and patients would bring along their cannulas, saline intravenous solution and drugs to the clinics and wards. However, this also means that these services, which are available only on out-of-pocket payments, are not available to those who just cannot afford to pay anything at all. In conclusion, this elective gave me an experience which I did not expect at all. When I departed from Heathrow, I expected this elective to be an extension of the Infectious Disease placement we had in clinical school. However, it has taught me much more than clinical knowledge alone. This elective showed me what ‘lack of resources’ truly means; it is a harsh reality for millions in the Latin America. It had taught me to appreciate every little thing I have been taking for granted in the NHS: the ubiquitous Hibiscrubs in Addenbrooke’s, the freedom to do audits and to access the latest scientific articles, the capacity to order fancy investigations, the support each of us has to groom us into a safe and competent doctor and so much more. 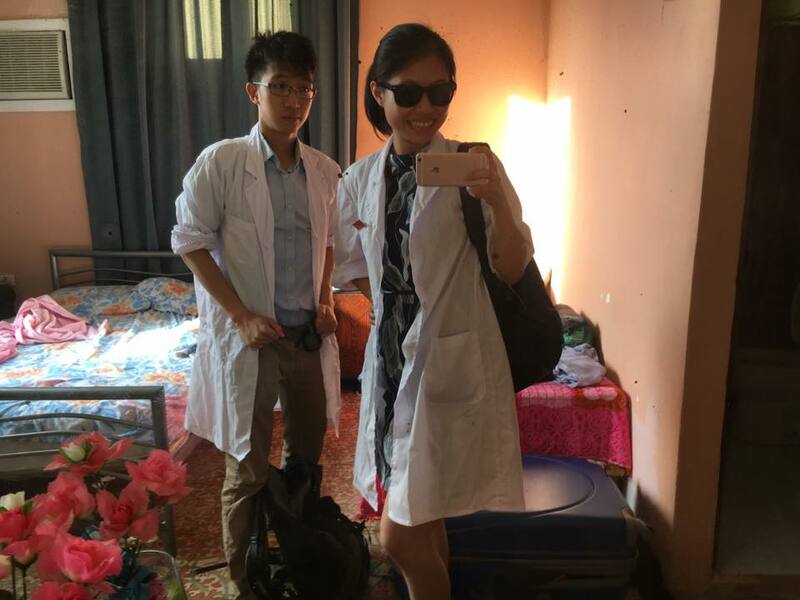 It has also taught me that if an opportunity arises in the future, I could and I should contribute more to the developing nations either directly, by being a doctor for the people there, or indirectly, through doing researches which the results are easily accessible to the doctors in these developing nations. I did two weeks of General Surgery rotation in Hospital Manuel Fajardo and two weeks Obstetrics in Hospital Gineco-Obstetrico Ramon Gonzalez Coro. 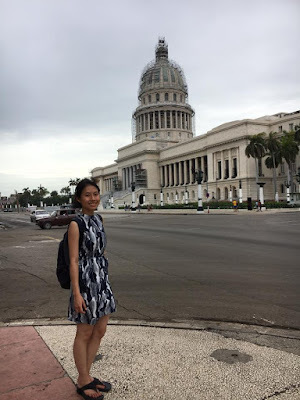 As expected, the biggest problem I had during my time in Cuba was the language barrier. 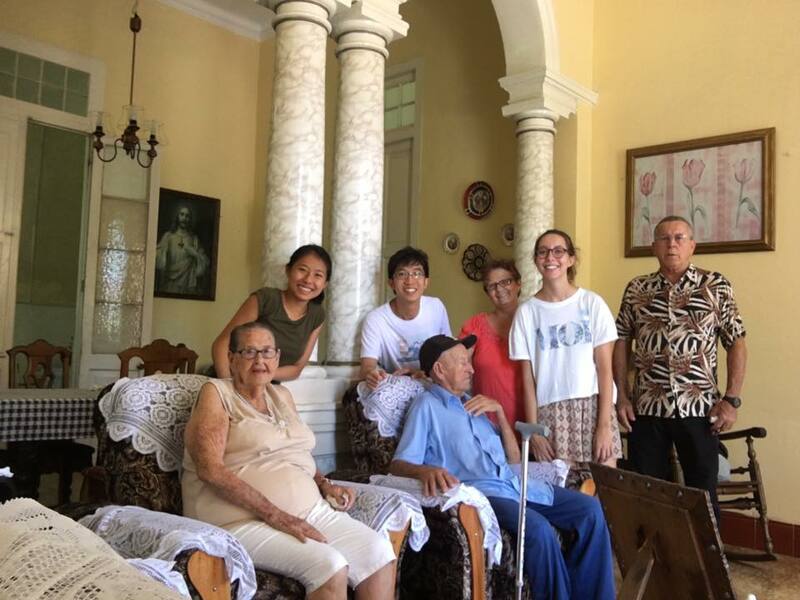 Even though I could understand basic Spanish, the Cubans spoke at a breakneck pace and with a strong accent, which made it almost impossible for me to take a history from the patients. However, there were more surprises for me apart from the language barrier. When my General Surgery supervisor brought me to the theatre changing room on my first day, I was surprised to be offered reusable surgical masks and head covers made of cotton fabrics. When I was changing into my surgical shoes which I brought from home, the other doctors were surprised to see the odd looking ‘flip-flops’ and offered me a pair of cotton shoe covers. I was at loss of how to use those covers until a nurse showed me how to tie them over my shoes. When I arrived outside a theatre room, a registrar told me to scrub in. ‘What is a Hibiscrub?’ she asked when I asked her where can I could get Hibiscrub from, a soap ubiquitous in Addenbrooke’s Hospital. She proceeded to show me how to scrub: first, by using a bar of regular soap for 5 minutes; after rinsing, apply an alcohol mix, which left strange white residues on my hands and caused the skin on my palm to peel. The equipment in the theatre was all reusable: from cotton surgical gowns to the enormous pieces of green cotton fabric used as drapes, to the metal yankeur suction tube. The only things which were disposable were the swabs and sutures. The waste they had after any surgery was a little 2L plastic bag, as compared to the 2-3 large garbage bags we had in the UK. While in the General Surgical Ward, instead of the usual surgical site drainage bags we have in the UK, a white surgical glove connected to a plastic drainage tube with duct tapes was used in place of a drainage system. Apart from disposable items, the hospitals lacked laboratory-based investigations, imaging equipment and medications. This used to be the reason why Cuban doctors were so good at diagnosing based on the clinical picture alone, instead of relying on imaging. However, I also witnessed the harsh reality of not having X-ray machines, CT and MRI scans readily available in clinical practice. An 80-year-old lady with painless jaundice was admitted during my placement. Although the doctors suspected that she had pancreatic cancer, they were unable to offer her CT scans to check for metastases. The only thing they could offer her was a staging laparotomy. I secretly hoped a palliative care doctor was referred for her, but judging from the lack of a CT machine, I wondered about the availability of palliative care here. During the laparotomy, they found multiple metastases and a blocked duodenum. She deteriorated rapidly after the surgery and died the next day. Due to the economic sanctions, the Cuban surgeons had few disposable items and imaging equipment at their disposal. Although I was at awe with the creativity of the surgeons, there is a limit to their improvisation skill. After the death of patient with jaundice, I became more aware of our reliance on technologies in our daily practice in the NHS. These experiences made me realised the luxury we have always enjoyed in the NHS, both as a doctor and as a patient. For example, as a junior doctor, I would be able to order any investigations just with a few clicks on the computer without actually considering the costs behind them, and I can be sure that the results will return me soon. These experiences revealed to me the real costs of these investigations and treatment. Thus, I should be more mindful when using the resources available, using them only when there is a valid clinical reasoning behind each investigation, instead of doing it ‘just as a baseline’. Since the beginning of medical school, I learned about the importance of evidence-based medicine and how a simple study like Ignaz Semmelweis’ comparison of the mortality rates in obstetric wards cared by doctors and those cared by midwives had spared countless women and newborns from agonising deaths. As medical students, we were all told to wash our hands numerous times since day one of our clinical years to prevent spreading pathogens to our patients and ourselves. Despite so, I often washed my hands in the wards with the sole intention of avoiding reprimands from the infectious control nurses. 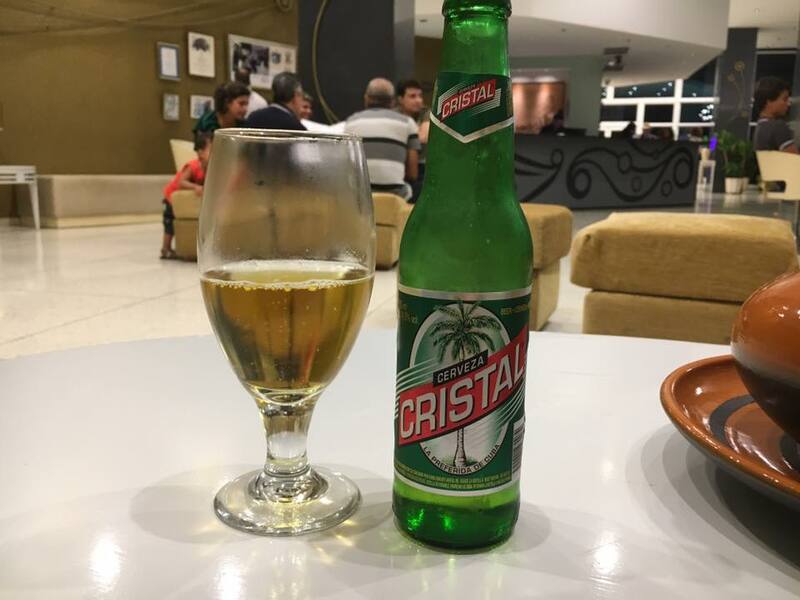 In Cuba, I witnessed the consequences of not adopting this simple yet effective evidence-based practice. Due to the lack of proper hand-washing facilities nor gloves in the clinics and wards, I often witnessed doctors examining patients, one after another, without washing their hands in-between. As a result, surgical wound infections, wound dehiscence and large surgical hernias were familiar sights. It was strange to see these iatrogenic pathologies every day, yet no measures were adopted to improve the situation. It was even more strange to see patients keep coming back to the same doctor to seek help and even thanking the doctor for his willingness to treat their complications! This would have earned the doctors lawsuits in the UK! The lack of resources might have curtailed any effort to do audits or research to improve the situation. However, I believe there is another factor dampening the research culture – the constant use of socialist-based propaganda to reassure themselves and the public of the current state of the healthcare system. After Fidel Castro’s successful use of propaganda to unite the Cubans in the Cuban Revolution, the government maintained an intricate propaganda machine, including all broadcasting facilities and publishing houses. The culture of using propaganda to unite the Cubans seemed to infiltrate the medical field. When asked about their health system, the Cuban doctors have only the highest praises and nothing less. 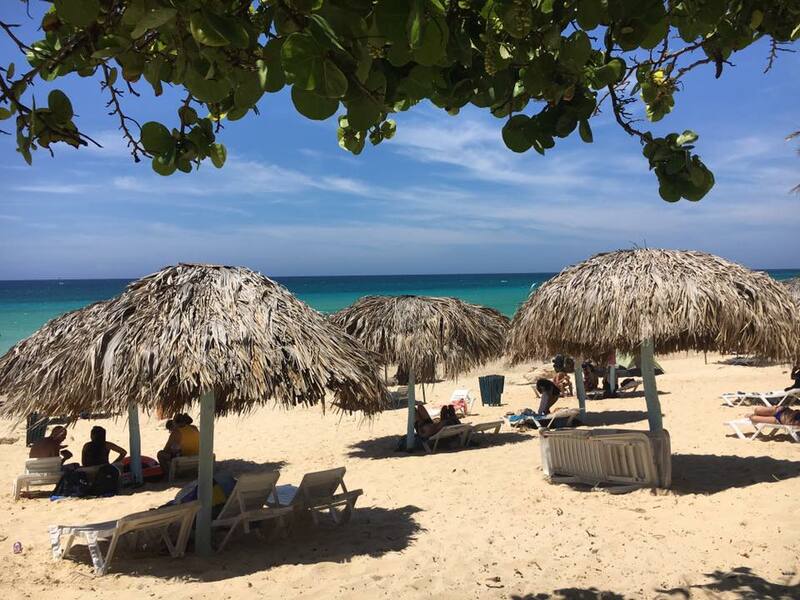 Their unacceptance towards criticism was evident when a Colombian trainee doctor lamented about the state of the system to one of the elective students. The doctor later received very disapproving comments from his colleagues. Besides, as elective students, we were not allowed to conduct audits too. This surprised me as I learned from another elective student who was at the same time as I did that each primary care centre has a statistician and they were obsessed with collecting data! 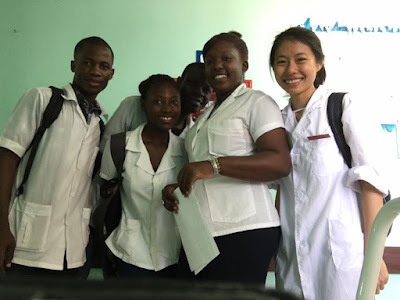 Several African medical students studying in Cuba told me that they were not taught to conduct any audits, partly due to the lack of resources, and partly since all statistics were heavily monitored by the government. The doctors were pressured to produce favourable statistics to protect the international ranking of Cuba healthcare system and Cuba hardly ever allow independent verification of its statistics. I have also witnessed how clerking sheets and observation sheets were completed in the hospital. The doctors filled in clerking sheets, which in theory would aid in taking an extremely comprehensive history and examination, without having interacted with their patients for more than 2 minutes; the 4-hour-post-partum observation sheets were filled in within the first hour postpartum. 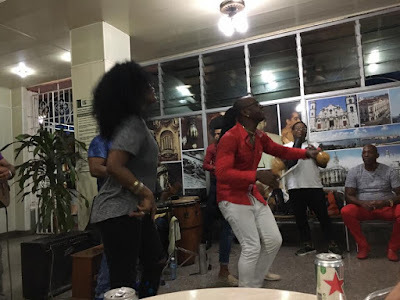 Although I would not generalise these actions to the culture of the whole system, they provoked my scepticism towards the stellar statistics reported to international organisations from Cuba. Furthermore, Cuba is also a country with an inadequate and heavily-censored internet connection. Although I was unsure if this was due to the US embargo or it was part of the government’s effort to prevent Cubans from assessing outside culture and information, I witnessed how their healthcare system suffered from their isolation from the international medical community. 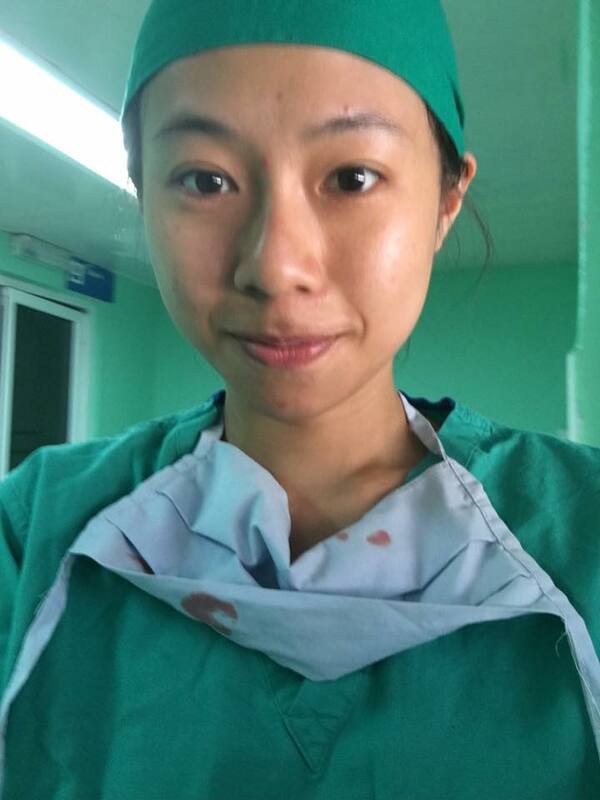 During my four weeks in both hospitals, I have attended several teaching sessions and teaching ward rounds with the local medical students. However, during those sessions, I did not see any professors quoting any evidence from any scientific journal during their teaching. When questioned about their clinical reasoning, anecdotal pieces of evidence were often used to justify their actions. 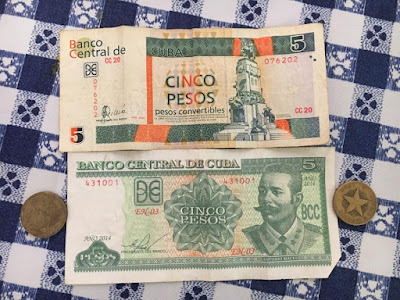 However, how are the Cuban doctors supposed to assess the latest NEJM when the internet costs USD 1.50 per hour, but an average Cuban doctor earns merely USD 60 per month? Besides, most Cubans who have never been outside of the country were unable to understand simple conversational English. Throughout my time there, I worried about the quality care received by the patients and at times, secretly blamed the doctors who did not wash their hands for the infected surgical wounds. On hindsight, perhaps the cause of those infected surgical wounds was more than the bacteria on the doctors’ hands, rather a cumulative consequence of the environment they were in. They said the friends you made during the hardest time in your life will last. I think so too. 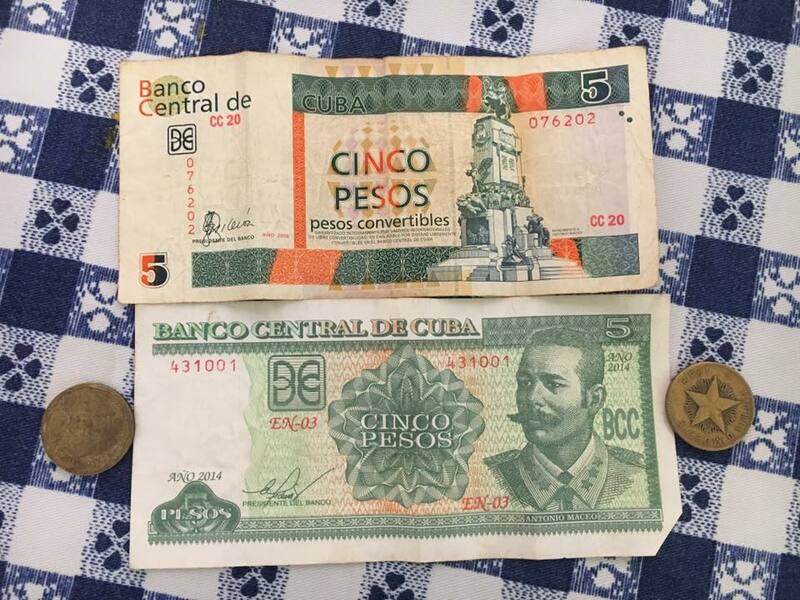 Learned about the dual currency, and learned how to use them to our benefit. Those stains are not blood. Mountain sickness drug – we had acetosalicylic acid + caffeine, instead of acetazolamide as we don’t want to take diuretics during hiking for obvious reasons! Tip: I also brought my ever-handy Longchamp handbag and a cloth recycle bag so I could use them when walking around in town. This seems like crazy amount of stuff, but these was just enough to get us through the journey, without having to buy a lot more on the way. We forgot to bring gloves, so I bought a pair for about £1 in Cusco. We managed to packed all these into 1 big luggage (25kg) and 1 rug sack. And we're all ready to go! A budding doctor who can't resist making her patients laugh WITH her (or so she believes) during her practice examinations. Cambridge, UK. Background image from http://www.tajbd.com. Simple theme. Powered by Blogger.